During her port visit to the Seychelles, ESPS Relampago’s crew took the opportunity to carry out a range of maritime training exercises with the Seychelles Maritime Police, Coastguard and Air force. 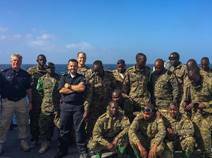 During their counter-piracy patrols off the coast of Somalia, Spanish marines and sailors from Operation Atalanta’s warship, ESPS Relampago, took the opportunity to train with AMISOM’s marine unit close to the port of Mogadishu. Whilst operating in the southern Indian Ocean, Spanish marines and sailors from Operation Atalanta’s warship, ESPS Relampago, took the opportunity to exercise with sailors from the Kenyan Navy boat squadrons off Manda Island. In March 2017 the Republic of Korea’s warship, Choi Young, will join the European Union’s counter-piracy operation off the coast of Somalia, EU NAVFOR Somalia – Operation Atalanta. During a busy port visit to Antsiranana, Madagascar, the commanding officer of ESPS Relampago, Lieutenant Commander Francisco Garcia Flores, welcomed the Minister of Defence and senior military officers on board. 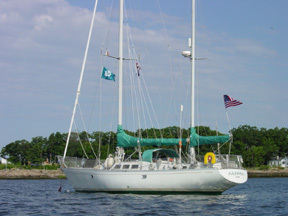 After a tour of the ship, the guests were invited to sign the ship’s visitors’ book. 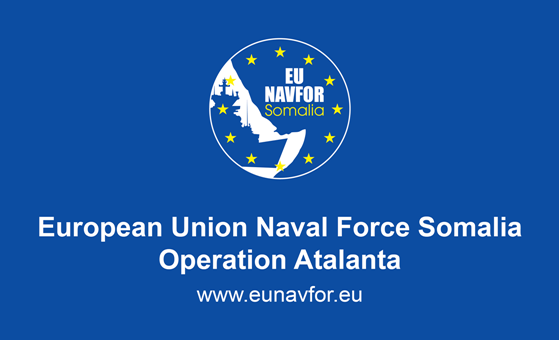 On Friday 24 February 2017 Rear Admiral Rafael Fernández-Pintado Muñoz-Rojas assumed the role of Force Commander of the European Union’s counter-piracy Operation Atalanta on board his flagship, ESPS Galicia, during a ceremony held in Djibouti port.